One of the most common questions I get is "Do any of these things 'really' work"?? As we know, the 'diet' market is over-flooded with products making outrageous claims (less in Canada, where labelling is regulated), and offering 'hope in a bottle'. The truth is- most of these products CAN help AS LONG AS YOUR DIET AND EXERCISE is on track! Otherwise, they are just that- pills in a bottle. They are meant to aid, or augment your results- not produce them, or do the work for you. I am going to start doing a "Top Ten" format for the common misconceptions about diet/lifestyle, that I see most people making. As for now, I would like to talk about certain products that have been scientifically and thoroughly studied to work; aid and enhance your hard work, provide antioxidant protection, and have no harmful side-effects. Today I am specifically going to 'Spotlight' one of my favorites: CLA or Conjugated Linoleic Acid. I truly consider this to be a lifestyle/maintenance enhancing product, that offers a variety of benefits depending on the amount taken. Again, I would like to stress that CLA is meant to be a COMPANION to, and not a replacement for a healthy lifestyle, diet and exercise routine. Specifically, for fat-loss, CLA has been notably studied along side of Green Tea Extract with a high EGCG content. CLA (Conjugated Linoleic Acid) is part of an Omega 6 fatty acid, naturally found in meat (beef, lamb, chicken and pork), and some dairy products, that is integral for our health. CLA cannot be manufactured by the human body, and therefore must be obtained from outside sources. 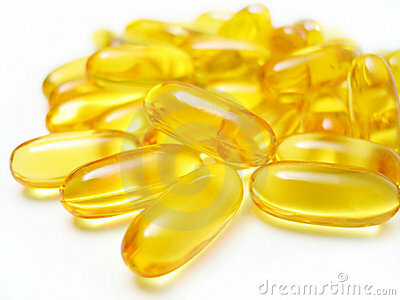 Furthermore, to obtain the fat-loss benefits, CLA must be taken at a higher amount that one can obtain from food alone. Scientifically and structurally, CLA is a term used to describe a set of 28 individual "positional and geometric" isomers of Linoleic Acid (LA). It is a slightly altered form of the LA (Linoleic Acid), that is formed when reactions change on or both of the double bonds so that they are no longer separated by two single bonds (hence 'Conjugated'). CLA prevents your fat cells from storing more fat (prevents accumulation), thus reducing body fat. CLA acts on Fat-storing enzymes ('keys' like insulin), and therefore keeps the doors to your fat cells "locked". Due to keeping the doors "locked" and preventing fat from entering and being store, CLA causes the fat cells to become smaller. In other words, it keeps your fat cells from expanding. CLA also supports lean muscle mass (6-9 grams). We all know that muscle is more metabolically active than fat, thus increasing your lean muscle mass, you will ultimately burn more fat. Makes you use your stored fat as a source of energy. In addition to being a great aid to enhancing fat-loss, CLA has been studied as a great health-benefiting supplement as well. Since it still is technically PART of the Omega 6 fatty acid chain, it offers all the same 'hair, skin, and nail' benefits one would normally derive from an Omega 6. Additionally, CLA has been studied for its anti-cancer or cancer-fighting properties (Breast, Colon, and Prostate, specifically), and also has a positive effect on the cardiovascular system. CLA may help with: High Blood Pressure, Atherosclerosis, low levels of LDL cholesterol (low-density lipoprotein, or the bad cholesterol); enhance immune function, and due to its impact on insulin sensitivity, it can reduce cravings, improve your insulin sensitivity, and improve your blood sugar profile. Now that you know a bit about the functions of CLA , you are probably wondering which product to pick. Well, this is one area that you want to be picky and read the label! 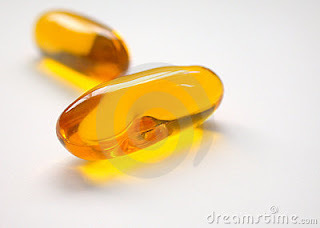 As I previously mentioned, CLA is PART of the Linoleic Acid Omega 6 chain. That being said, only certain 'isomers' have been shown to exhibit these fat-burning benefits. Specifically, CLA isomers TRANS-10, CIS 12, which resulted in a significant reduction in fatty acid synthase activity, lipid synthesis, and fatty acid synthase mRNA expression. CLA isomers CIS-9, TRANS-11 and TRANS 10, CIS-12, increased fat oxidation during sleep, and reduced the amount of protein being burned for energy. This is great news for anyone looking to maintain, or enhance their lean muscle mass, while decreasing body fat. So what does this all mean? There are 2 patented forms of CLA that will supply the above mentioned CIS/TRANS profile: Tonalin, and Clarinol. These forms ensure that the proper purity and standardization exists, while maintaining high concentrations of these metabolically active isomers: cis-9, trans-11, and trans-10, cis-12. CLA has been studied for fat loss at 3.4-3.6 grams/day. Any less, and you are just obtaining the anti-cancer, and health benefits (which is still great!). It has been proven to increase insulin sensitivity, and lean muscle mass at 6-9grams a day. Aim for a supplement that has 1000mg of either TONALIN or Clarinol CLA per capsule, and take 4/day (make sure the label lists it as at least 80% active isomers). I find that taking it with food enhances absorbency. It doesn't matter when you take them (I suggest staggering them with breakfast/dinner or lunch), as long as you remember to take them. I will teach you something I tell all my clients (it's cheesy, but it works): THE 3 C'S OF CLA: Consistency, Constancy and Continuality. CLA needs to super-saturate your fat-cells - not just saturate them, to break them up. It takes about a month (usually 2 weeks) to start working, and build up in proper amounts- therefore you have to be cognisant of taking it daily. It is meant to be a companion to a GREEN TEA EXTRACT, which speeds up the fat-burning and thermogenesis. Before a photo-shoot or competition, many people start taking this 6 months out to help them lean out, and preserve muscle mass. We refer to is as a 'leaner' or a 'shredder' in the industry, as it works on the fat between the skin and the muscle (allowing muscle definition to be clear), or as a non-stimulant fat burner. Remember, CLA is NOT A QUICK FIX, and being a natural fatty acid, it does take awhile to start working. I recommend measuring your waist before you start taking it. Google: CLA and GREEN TEA EXTRACT, or CLA and FAT LOSS, and you will see a host of scientific studies. I want to stress again, that CLA is not to be used as a 'be all end all', a 'crutch' or a quick fix. I often recommend it, but only adjacent to a proper lifestyle. I have seen great results with it when used correctly, and I like that it is a natural fatty acid that offers numerous heart-protective and health benefits. I find that it works best for sustainable fat loss. More people are now conscious with anti aging products to help them look and feel younger. Noticeably, Asian loves to drink Chinese tea for it brings natural effect giving them revitalized youthful glow. Due to its natural content, it enhances the body's metabolism to stay fit. I learned about GLA and CLA when I read and followed the Fat Flush Plan last year. I take both of these still and they have made a huge impact on my overall health! Thanks for educating us on such an easy addition to our lives, but such a necessary addition! I found your blog through April and love it so far! I started giving my son (9 yo w/ ADHD) a supplement of 230mg DHA (coromega)as an alternative to meds. I believe it helps(but I know it takes months to start seeing results) but I notice that his hair smells fishy. Is that a sign it's too much or is that normal? I think the CLA is interesting. I have read so much on the importance of Omega 3's that I never knew the benefits of CLA Omega 6. Do you have a particular brand you recommend? Christy- Thank you so much! As for a specific brand, there are many! The main thing is to make sure the proper purity, standardization, and Isomers are included. Allmax has a good Clarinol CLA, and they also have a "woman's" version called CLA80 Femme. I will post a link to it and other CLA's that I recommend and add them to MY STORE section so you can check them out. What you are really looking for is the term TONALIN. Some substandard brands on the marketplace obtain their Conjugated linoleic acid from Sunflower oil instead of Safflower oil. Safflower Oil consists of 80% Cla while Sunflower Oil only provides 40% of active Conjugated linoleic acid. CLA plays a vital role for our health. It contains a lot of health benefits that helps treat different diseases. Thanks for the review.